Vision inspection machine is constructed with three main structures, the feeding system, the inspection system and the output system. The automatic inspection system differs from inspection requirements and should be designed according to parts. 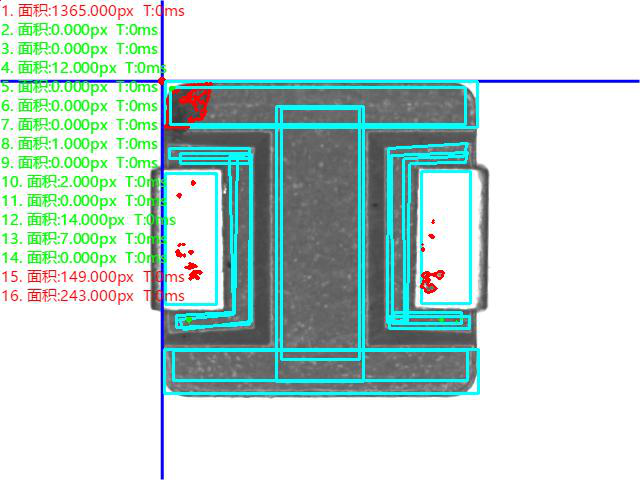 Cameras and lighting are also the vital composition because they provide images of inspection targets. Through precisely automated optical inspection system, parts such as magnetic electronics in different size or appearance are presented under the illuminated lighting underground and them inspected through automated calibration system, finally parts will be output as good and negative. 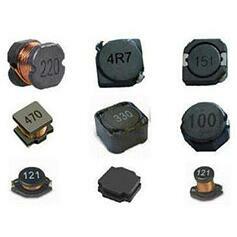 Magnetic components like coil, inductor and transformers are widely use and applied in electronic industry. Most users are aware of the essential of magnetic components to make those devices like semiconductors, microprocessors, transistors, switch and etc. They are equipped with various functions fro energy storage, filtering and energy conversion. It’s very important to guarantee quality of magnetic components so that they will not overheat or fail working in normal operation. Therefore, the quality is quite important before we deliver these inductors and transformers to end customers. Sipotek SP-300 automatic vision inspection machine can be applied in detecting inductors and transformers’ appearance and size defects under clear images.Let’s take the inductor magnetic component inspection application for example. Inductors with appearance of ±0.08mm are able to be inspected. The machine provides high pixel images that are clear and visible enough to be recognized. Sipotek visual inspection system utilize reliable SONY industrial cameras and front light cameras to support the inspection work. 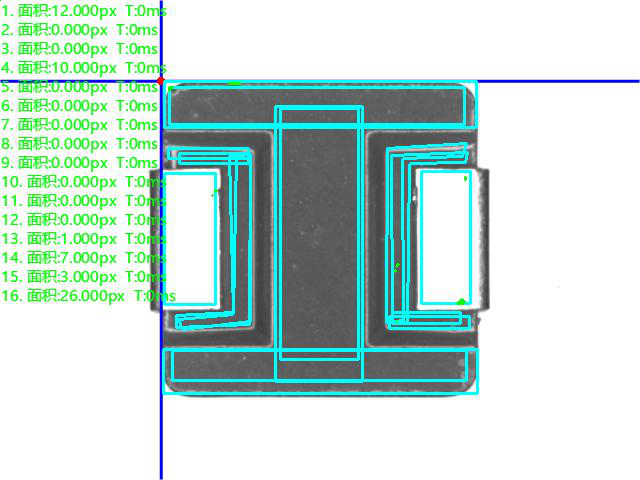 The inductors were inspected by three sides from bottom, side and top. Under clear images, the defects are magnified and recognized ad OK or NG. That helps the machine pick all the negative parts out of large numbers. The machine is also extended with ability to inspect parts such as magnetic material appearance, magnetic core,ferrite core defect, zinc nickel magnetic ring or sealing plastic parts, and etc.